In Raven Walks Around the World, Henley shares parts of his personal journey of activism, travel, and life long work with Indigenous peoples around the world. Through his stories, Henley illuminates the determination of all Indigenous peoples to protect and manage their homelands. Henley, also known as “Huckleberry”, begins with an intriguing story of his adventures as a young university student who hitchhiked from Michigan to Alaska in spring 1970. To escape the Vietnam War draft, Henley stowed away on a Norwegian ship and eventually landed in Vancouver. A few years later, conversation with another traveller piqued his interest about the “Queen Charlotte Islands” – later officially renamed Haida Gwaii – and he boarded the ferry in Prince Rupert to go there. It didn’t take long for Henley to develop a deep love and respect for the Haida people and their territory. As he explains, “Here was the temperate rainforest of fairy tales, an enchanting garden of massive moss-draped trees: western red cedar, yellow cypress, Sitka spruce and western hemlock with bases three to six metres in diameter” (44). Throughout his accounts Henley explains several aspects of Haida culture and practice, including their longhouse dwellings, creation stories and potlatch protocols. Chapter 2, 3, 4, and 5 detail Henley’s permanent move to Haida Gwaii in 1973, where he built a small cabin in Lepas Bay with little more than materials harvested from the forest and the shoreline. He tells how he befriended Guujaw, and how together they drew their literal line on a map and began a campaign to save a large section of Haida territory, known as South Moresby, from intensive old growth logging. Throughout these chapters, Henley shares unknown details about the decades-long effort to reach the Gwaii Hanaas Agreement between the Government of Canada and the Haida Nation, and the creation of Gwaii Hanaas National Park. In Chapter 6, Henley makes a valuable contribution to those interested in reconciliation through his reflections on the creation of Rediscovery, a summer camp for Indigenous and non- Indigenous youth. Rediscovery’s mission statement is: “Drawing from the strengths of Indigenous cultures and with a love and reverence for the land, Rediscovery aims to help youth of all ages and all cultures discover the world around them” (121). 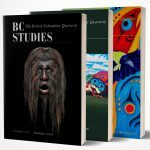 Chapter 7, 8, and 9 recount more tales of the South Moresby case, including the infamous Lyell Island blockade spearheaded by Haida Nation and resulting in the arrest of seventy-two Haida, including several elders. 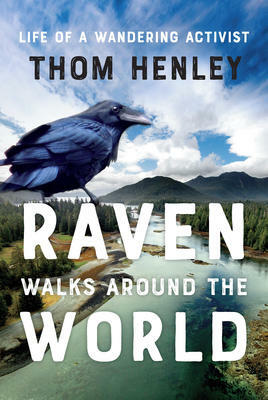 Chapters 10 and 11 tell the story of how Henley was formally adopted into a Haida family at a potlatch and given the name Yaahl Hlaagaay Gwii Kaas – “Raven Walks Around the World.” Raven is held in the highest regard by the Haida and is ever curious, often finding himself walking around the world quite serendipitously (187). This is certainly an apt name for Henley. In Chapters 12 and 13, Henley details several of his global travels, including tales about a near-miss death from an undertow in Baja and almost getting lost in the high Peruvian Andes. Most of Henley’s experiences involved being “welcomed back home in remotes parts of the planet by Indigenous peoples,” including the Thompson tribe in BC’s Interior, the Penan people of Borneo, the Mentawai tribe on the island of Siberut, Indonesia, the Newari people in the Kathmandu Valley, Nepal, and the Bakiga tribe on the border of Uganda and the Congo (185). Despite Henley’s many adventures, he considered Haida Gwaii his focal point (Chapter 14) and he returned home to the “Islands of the People” to put his transformational experiences through travel into perspective (190). Overall, Henley offers a hopeful message to readers, especially those interested in reconciliation between Indigenous and non-Indigenous peoples in Canada. Henley’s ability to develop trusting, life long relationships with people of many cultures is an example to all of how positive change can be achieved. Further, Henley’s book highlights important shifts in power and influence between First Nations, environmentalists and Canadian governments by explaining in detail the roots of the South Moresby campaign and the inherent authority and power of Haida Nation. Madeira Park, BC: Harbour Publishing, 2017. 272 pp. $32.95 paper.